Clean-cut Thomas Lynch is police chief of Idyll, Connecticut, where serious crimes can be counted on one hand --until Cecilia North is found murdered on the town's golf course. By chance, Chief Lynch met her mere hours before she was killed. The case should be a slam dunk. But there's a problem. If he tells his detectives about meeting the victim, he'll reveal his greatest secret--he's gay. 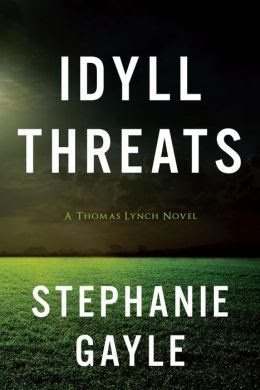 Thomas Lynch is the new police chief in the town of Idyll. The biggest case to come to this town in ages is a murder... and Lynch met the victim mere hours before she died. He's trying to find a way to get people to the cabin where he met her at without disclosing that he was there. Telling them that would reveal the fact that he's gay and he's not ready to come out. This book deals with homophobia, small town mentality, loss, hope and murder. Phew! Lynch is flawed but likeable. I was a bit taken aback at the beginning of the book... would someone in his position really hook up with a guy he pulled over for speeding in some random shack off the side of the road?? Knowing this could jeopardize his career? Um... probably not.. but hey, this is fiction after all right? I found his character to be extremely human and couldn't imagine what it's like to work in a field where you felt the need to hide your true self because the men you work with are continuously making derogatory comments. This isn't one of those OMG, THAT'S WHAT HAPPENED and THAT'S WHO KILLED HER kind of books, but it's extremely well done in its reveal. The author excels in plot and character development. Throw in a dash or three of humor and it's a fun murder mystery that keeps you turning the pages. 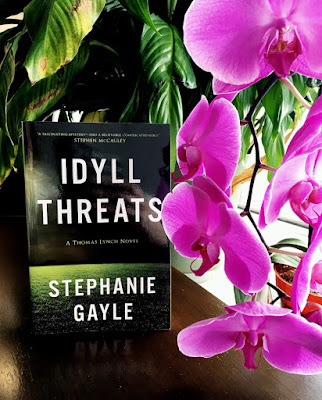 First in the series, I'm off to read book two, Idyll Fears now!! After the ending of this book, I'm so curious about what is going to happen to Lynch now! When local woman, Cecilia North, is found murdered on the town's golf course Thomas Lynch is on the case. As luck would have it, he had met her the night before the murder, but he can't reveal that information to his fellow detectives. He has to try to solve this on his own or he'll risk his deepest secret getting out, that he's gay. Living in the small town of Idyll, Connecticut he sees and hears the homophobia and is terrified to face that with his colleagues. Without having his fellow detectives on the case with him, he turns to a couple of unlikely allies. Teamed with UFO obsessed conspiracy theorist and a Goth teenager, Lynch is feeling the pressure from the mayor to solve this murder. Gayle writes this completely from the perspective of Thomas Lynch. Something very different seeing things from his perspective and how the homophobia in the precinct affects him and why he chooses to do the investigation on his own. The character development is great - flawed characters that you grow to empathize with. The plot moves along at a good pace and I definitely binged on this one. 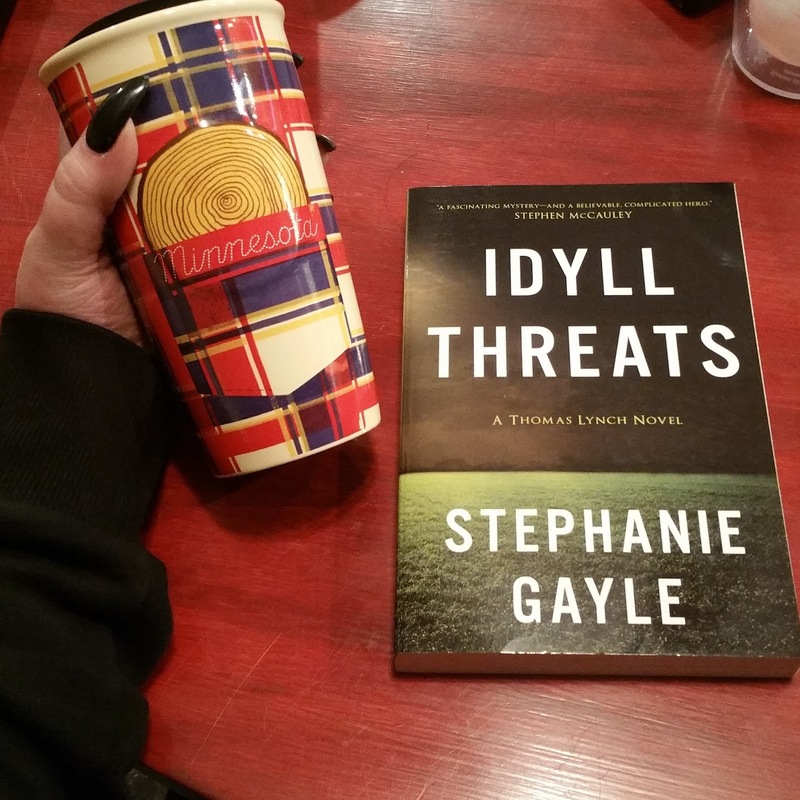 Overall, from her descriptions to the humor thrown in, I loved Gayle's writing style. The perspective of Thomas was unique and refreshing and the mystery was intriguing. Off to read book 2!